One Workplace and Steelcase were creating a collaborative space for Palantir and wanted to brand it as a place that embodied the shared vision of the three companies. 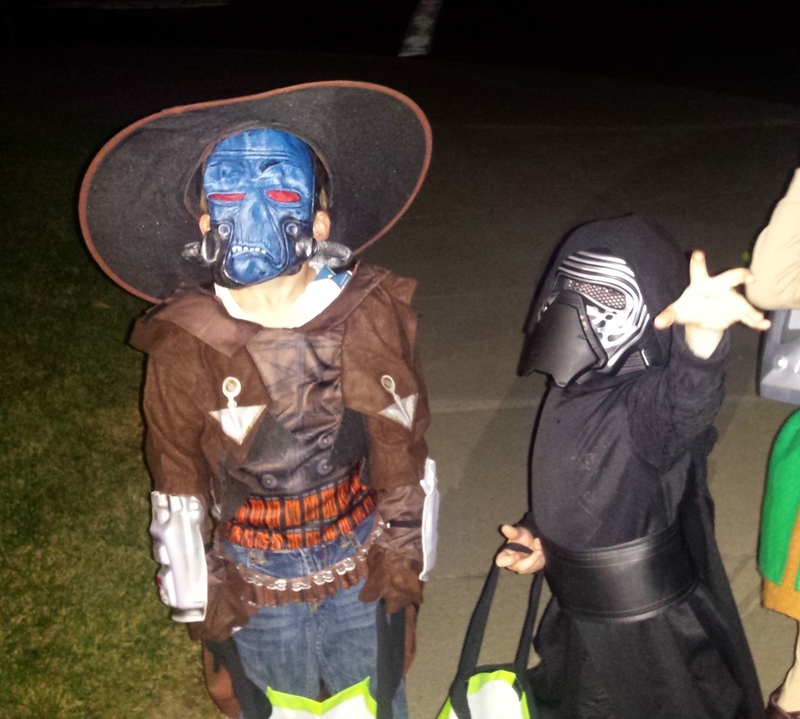 My two oldest boys have become Star Wars fanatics and this Halloween, they did an excellent job performing door-to-door. One was Cad Bane from the Clone Wars cartoon and the other was Kylo Ren from the upcoming Star Wars Episode VII. They had such a great time and got so into character that I just had to play a part in all of it as well. One of Google's buildings in Mountain View had been branded based on the fact that the Shopping team occupied the space. That team had moved, and the space needed to have a new theme that could use some of the images and designs that were already in place. The shopping theme lent itself to a cityscape rebranding. The wall before new graphics. By incorporating the visuals of the urban environment with many of the existing shopping designs, we were able to rebrand the space without completely starting from scratch. New graphic theme implemented throughout building.